Sorry it has been so long since I have blogged. There haven't been any new developments until last week. On Thursday I attended a joint meeting of City Council's Community Involvement Committee and Plans and Policies Committee. The public did not speak at all, but key city officials, not on the committees, got to speak as needed. They discussed whether or not the City and the Humane Society of Southwest Missouri would be able to join forces in the huge project of improving our city's Animal Control programs. The decision of the committees was that key people from both entities get together and see if there can be some sort of compromise for the greater good of animal welfare here in Springfield and surrounding communities. They are to meet and discuss whether it would be more cost effective in the long run for them to join forces and use the Humane Society's building or if a second facility is needed for the City. The faster they can propose their findings to the City Council, the faster they can get the ball rolling. The second topic discussed is that the a new committee will be formed and will meet for the next year to help aide in the ongoing work of the AITF. The recommendations that the AITF proposed to the City Council will also be divided up into two sub-committees; one will tackle the need for a new facility, and one will tackle the policies and legislation. City Council agreed that professionals from the AITF will be called as needed to answer questions pertaining to the conclusions on the proposals. Unfortunately, this is all moving very slowly...but that's government for you. We'll get there guys, just be patient. 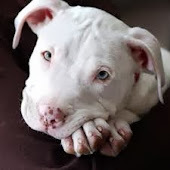 I have done quite a bit of research over the years and there are still a few officials in the city that think the Breed Specific Legislation is working. I ask these people....Please take the time to let me shadow you. Then sit down with me and explain why you think it has worked. As of now, I just haven't seen any proof. Anyone can play a numbers game with me, and unless I have all the statistics in front of me (and have consumed three cups of coffee), they may win verbally, but I have lived their twisted number game in my real life, for 15 years. I don't see the proof that the BSL is keeping all of the power breeds out of the meth labs in town. 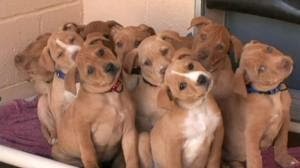 I don't see how the BSL is keeping dogs from being dumped. I don't see how the BSL is helping educate people about appropriate dog behavior, or human behavior around dogs. All I see is that we don't have a dog problem in Springfield, Mo...We have a people problem. We have to start at the root of the issues (like drugs and education) and not make excuses by blaming the dogs. Humans are the ones that have allowed these precious dogs and cats to be born at a rate that we can't keep up with. Only humans can find the solution to helping make this city have a better animal welfare system... and the solution is not breed specific ordinances. Banning alcohol obviously didn't work, and neither is putting rules on specific breeds of dogs. In 2006, when we put the Pit Bull Ordinance into effect, the black dog was the most prevalent dog in the US...now, in 2013, it is the Pit Bull... Is this your proof that BSL is working?